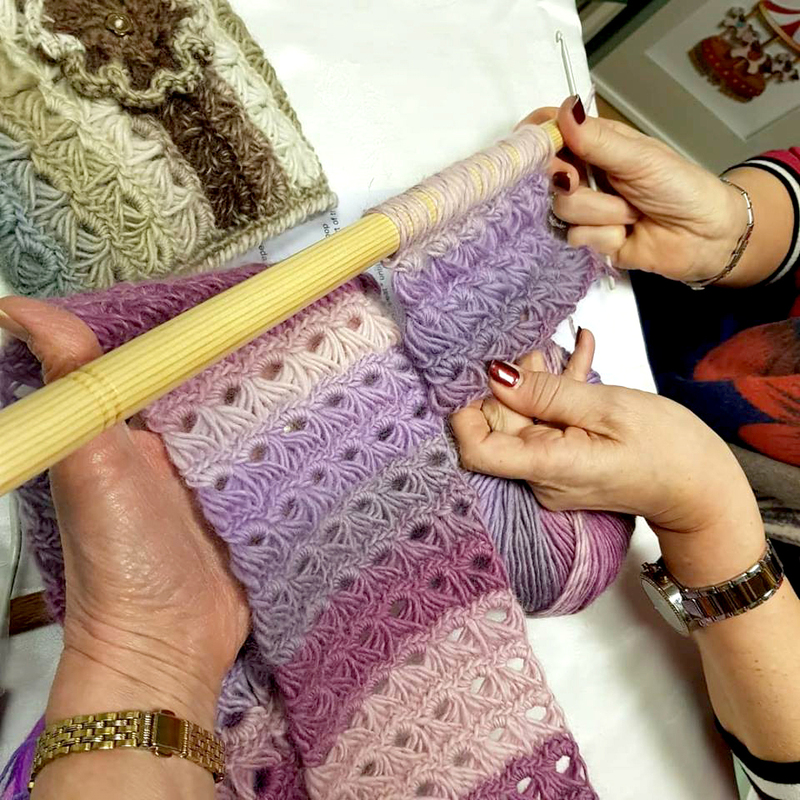 Learn this fascinating crochet technique with local craftswoman, Helen McArdle and create a scarf or cowl to take home. ‘Broomstick’ and yarn will be supplied. Choose from a range of colours. A basic knowledge of crochet is needed. Bring along your favourite 4mm crochet hook.